Ask Cary Family Dental: Which toothbrush should my child use? 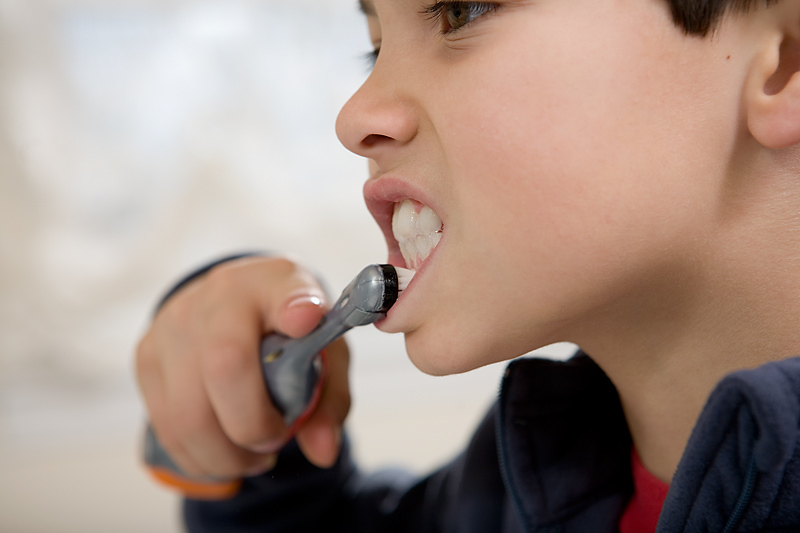 Cary Family Dental will tell you that brushing your teeth is one of the easiest methods of cavity prevention. But which type of toothbrush should your child use? When choosing a toothbrush, look for round-ended (polished) bristles that clean while being gentle on the gums. Choose one that is specifically designed for children’s smaller mouths and hands. Also, look for large handles that can help children control the toothbrush. Lastly, throw out a toothbrush after three months or sooner if the bristles are fraying. Frayed bristles can harm your gums, and are not as effective in cleaning teeth. As far as which toothpaste is best? It doesn’t matter as long as it has fluoride in it. However, for small children who tend to swallow toothpaste, do not use fluoridated toothpaste. Make sure to touch each tooth and every side of that tooth. Also, you do need to gently brush on your gums. To learn more about choosing the right toothbrush and toothpaste for your child, we encourage you to read this helpful article from Parenthood.com. Or, you may give us a call and we’ll try to answer any question you may have about keeping your child’s mouth as healthy as possible!